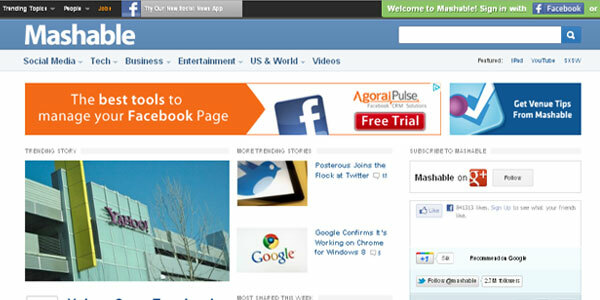 From a couple of days the internet talks are become hotter with interesting news which is related with Mashable.com. Yes … according to news giant sites like dailyrecord.co.uk, guardian.co.uk etc., are reporting that CNN is trying to Acquire Mashable.com for $200 million. If the news is true then it’s one of the biggest acquisitions of CNN. CNN is on the verge of buying social media news website Mashable for “upwards of $200m”, according to reports. CNN are set to pay a young Scot $200million for a website he set up in his bedroom. The US media giant are desperate to get their hands on Pete Cashmore’s social media and technology site Mashable.